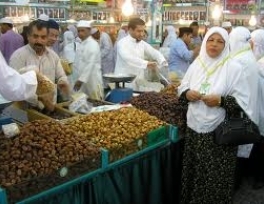 Dates are a staple food in Saudi Arabia and the wider Middle East, both in their own right and as a common ingredient in local dishes. 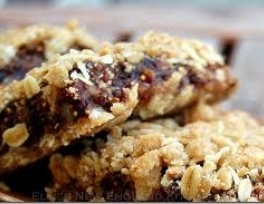 In particular, they form an important part of the diet of Muslims during Ramadan, when they are traditionally eaten every evening to break the fast. 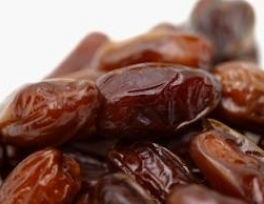 Activity of the Moroccan dates production sector is expected to be revived under a new development program launched by Morocco in early October, says the London-based Oxford Business Group. The strategy launched by National Agency for the Development of Oases and Argan to enhance date and argan oil production, is in line with the government’s broader goals of boosting agriculture exports and income in rural areas, as set out in the Green Morocco Plan (Plan Maroc Vert, PMV), initiated in 2008, says the business intelligence group which notes that while Morocco is a major agricultural exporter to Europe, the country has consumed more dates than it has produced. 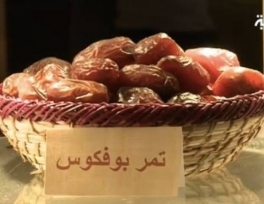 Abdul Aziz Al-Twaijri, a member of the National Council for Palms and Dates, has alleged that huge quantities of Saudi dates are being sold in European markets with a “country of origin” label other than that of Saudi Arabia. 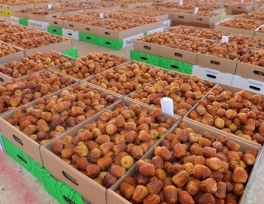 Speaking on the sidelines of Buraidah Dates Festival, Al-Twaijri said the Saudi produce was being accessed to Asian and European markets through neighboring countries such as UAE, Jordan and Turkey. Dates are very high in nutrition value, they provide a wide range of essential nutrients, and are a very good source of dietary potassium. 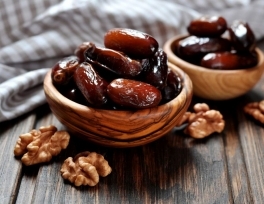 The sugar content of ripe dates is about 80%; the remainder consists of protein, fiber, and trace elements including boron, cobalt, copper, fluorine, magnesium, manganese, selenium, and zinc. 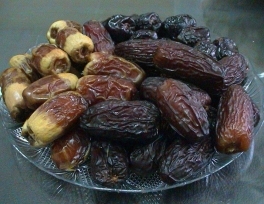 Dates have been an integral part of the culture and identity of the United Arab Emirates (UAE) since ancient times. In the past four decades, production has increased nearly a hundredfold with dates carefully harvested by hand from more than 40 million palm trees across the country. The UAE is currently the world's fifth largest producer of dates, but it's not just homegrown fruit that you will find in the country's souks. More than 800,000 people have visited the Buraidah Date Festival over the past 55 days, which has brought in about SR 600 million in sales, said Khalid Al-Naqeedan, CEO of the festival. 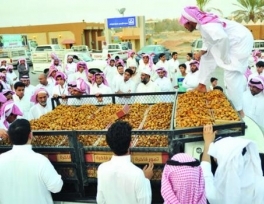 During the 90-day festival, around 300,000 tons of dates will be sold, reaching a combined sales figure of more than SR 1 billion. Last year the festival saw sales reaching SR 800 million. 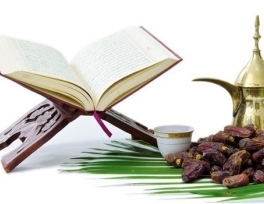 The date fruit and tree were dear to Prophet Muhammad (peace be upon him) and the word “date” is mentioned in the Holy Qur’an more than 20 times. 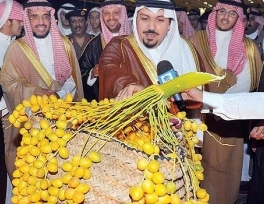 Prince Faisal bin Mishaal, deputy governor of Qassim, inaugurated the 10th Buraidah Dates Festival late Thursday and commended the roles of public and private sectors to make the annual festival a big success. Prince Faisal toured the various pavilions, including those for date palm plants and dates production as well as public and private sectors participating in the event. While the date palm tree is called “nakhl,” the fruit is called “tamr” in Arabic. The date palm, originating, as best we know, in the Middle East, has proved such a successful plant and source of nourishment that it has spread across the planet.